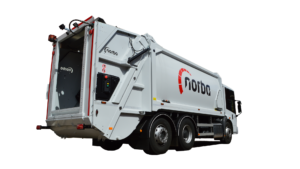 We engineer, deliver and service waste management solutions that enable our customers to make our world a better and more sustainable place to live. A world in which we take better care of our resources and save precious time and effort doing so. The Geesinknorba Group is one of the leading companies in the waste management industry. As the waste management industry is evolving continuously we need to stay up and ahead of our game. Our three powerful brands Geesink, Norba and Kiggen bring great effectivity, efficiency and ease of use to our customers while lowering the TCO.